Click on the project you wish to clone. * Note: if the project you want to clone is inactive, set the filter to show both active and inactive projects or just the inactive ones. The project information will show up. Press the “Make a copy” link located at the bottom next to the edit button. 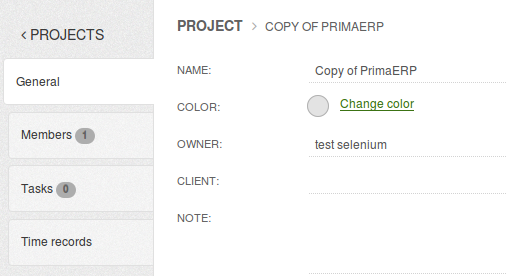 As soon as you have a copy of your project, you can edit and change the name and its parameters if necessary. 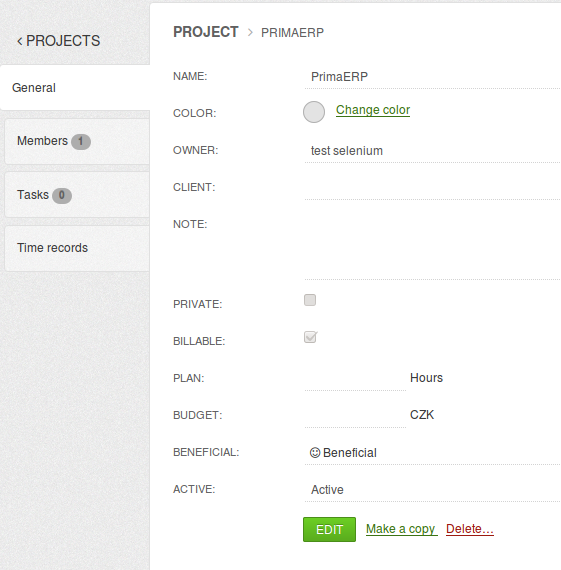 You can see as well that the members and task from the original project have been copied.